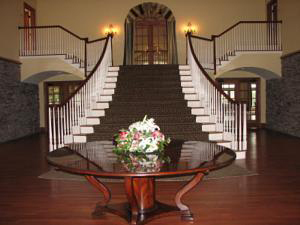 At West Hartford Stairs and Cabinets we believe that if you can dream it, we can create it and you can enjoy it. We have been a prominent member of the Connecticut community for more than 75 years. That means that customers are satisfied and can’t wait to show our work to their family and neighbors. Our success has been founded on our professional approach, creative designs and attention to detail. We are unique because we design and manufacture every project component in-house. Our advanced tools and equipment at our facility allow us to customize, while optimizing quality control. Our goal is to make your house your dream home. Whether a renovation or new construction. For homeowners or builders. No matter the project size or budget, our singular goal is to turn your vision of a beautiful home into absolute reality. Unique – our designs and custom work are like none you have seen before. Investment – the beautiful design and exceptional quality of our work increases the value of your home. Cost effective – our solutions are designed to fit your budget, as well as your need. Professionalism – our designers and workers are skilled, experienced and focused on your needs. Satisfaction – all of our customers are the talk of the town and proud to show off their home.